If you are using Let’s Encrypt or any other SSL certificates at Dreamhost and you need to add the SSL certificate to StackPath (formerly MaxCDN) CDN for your content delivery network url this can be rather confusing. This as both parties use different names for the different SSL elements. Here below details on setting things up from a Dreamhost perspective as you are copying the details from there and what corresponds with what. These fields have been automatically populated when you created your Let’s Encrypt SSL certificate at Dreamhost. These fields or elements however have entirely different names at MaxCDN. This is one we do not need to use most of the time as it is auto generated and is only needed to get the CA to issue a certificate. That is why Dreamhost mentions it is optional. We do not need to generate our own most of the time as we need one that has been certified by a Certificate Authority like Let’s Encrypt. we just copy it from the Dreamhost certificate field and add it to the SSL Certificate field at StackPath. Now there is one field left at StackPath (formerly MaxCDN) and that is the Certificate Authority Bundle. It is the bundle that contains the intermediate and root certificates. Well we could put the CSR there or the Intermediate certificate, but those are not really the bundle as described by Namecheap in the earlier link. They are the request for the certificate and the intermediate certificate. 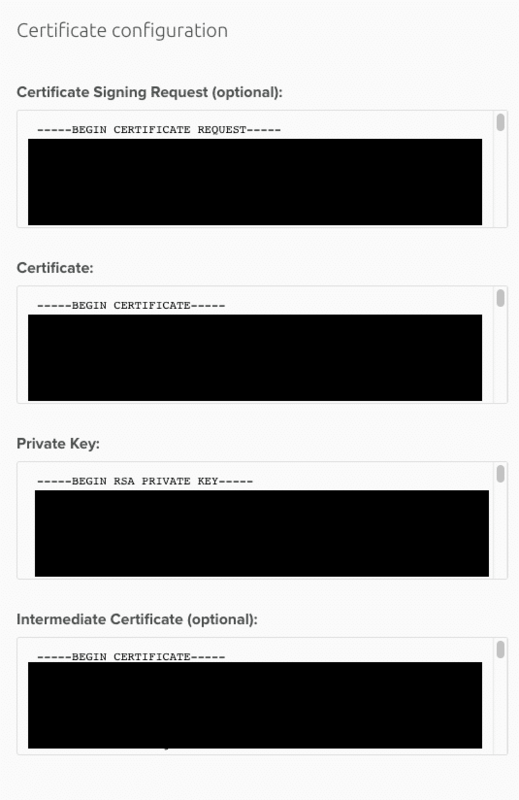 So the root certificate would be missing there and the CSR probably does not belong there. So what do we need to put there? Now I did find out it somehow did not really matter what I added there as long as the first two were correct, but I put a question up with MaxCDN to get a proper answer on this one. Answer will be added here as soon as I have it. Update: Intermediate Certificate needs to be added at the CA Bundle field at StackPath. Thanks to Pavel at StackPath I just found out about this. You can always check if all is well at https://www.sslshopper.com/ssl-checker.html .